Today's online technology offers you a lot of different tools to measure the performance of your marketing efforts. One of the beauties of online marketing, and marketing in general, is that no matter what your campaign's current level of performance is, you can improve it. Is your marketing campaign doing incredibly well? You can improve it. Is it going poorly? You can improve it. Most, if not all online marketers want to improve their results, isn't it safe to say? Chances are you do to. But in order to improve, you need to understand where you are now. To get an accurate idea of where you are now, you need to measure. You need to gauge the performance of every piston in your marketing engine. He understood, long before the advent of digital marketing technology, that testing and optimizing were required if he was going to achieve the level of marketing success he wanted. His commitment to measuring his marketing and advertising paid off handsomely. He was one of the most successful American merchants of the 19th and early 20th centuries. Over 100 years later, marketers like you and I have tools at our disposal that “old school” marketers like John Wanamaker never had. If we will use them with the same enthusiasm and determination he showed when measuring the performance of his marketing efforts, imagine how far we can go. You may be asking yourself why you even need to measure your marketing's effectiveness. Well, consider this: marketing involves trying to make a connection with people. People can be unpredictable. People are emotional. People are not all alike. They have different perceptions, experiences and prejudices. Marketing, despite all of the modern advances available and even with the pioneering work done by legends in the field like Claude Hopkins, is not an exact science. Granted, you can change course and refine your approach after you launch a campaign. But you have no guarantees up front that what you are doing will work. The greatest hitters in baseball strike out most of the time; likewise, most marketing campaigns, even those put together and executed by world-class marketing professionals, do not bring about the desired results. As a marketer, you have to be willing to take chances. You have to be open to trying new tactics, even though you have no guarantees they will be successful. But then, as soon as possible after launching a campaign, you need to get an idea of where you stand and what you need to do next to get where you want to go. Comprehensive measurements of specific marketing metrics will help you. They will give you a “marketing roadmap” of sorts. They will help you determine what's working and what's not working, so you can keep doing what is and quit doing what's not. In previous articles on this blog, we've used the illustration of online marketing as a chain. If one of your “marketing links” is weak, the chain is weak. But, if every link is strong, you have a strong chain. For your marketing to yield the results you want, each part of the whole program needs to be strong. In order to effectively measure your marketing so you can correct course and optimize, you will want to measure each link. Few, if any online tools are as effective for contributing to a marketing campaign's success as email marketing. But in order to be made maximally effective, email marketing needs to be measured. A state-of-the art email marketing program will come loaded with testing tools that can help you maximize your campaigns' effectiveness. Open rate: you can write the most persuasive email ever and send it to a list of millions of subscribers, but if it never gets opened, how does it help you? An email has to get opened to have any effectiveness as a marketing tool. So what can you do to increase open rates? Other than sending email to a list of subscribers that recognize your name and trust you, the most effective way to get your email opened is to include a great subject line. A hard-hitting subject line that “grabs your reader by the eyeballs”, makes him curious to find out what's inside, and hits him over the head with a promise of substantial benefits, and maybe even adds a hint of entertainment, will send your open rates sky high. A dull, lifeless subject line like “March Newsletter” will probably cause your open rates to plummet. Click-through rate: Let's say your attention to writing and testing awesome subject lines has paid off with a very nice open rate. Congratulations! But don't rest on your laurels. You've won only part of the battle for email marketing effectiveness. You still need to get your readers to take a specific action when they are reading your email. You need to succeed in getting them to click through from your email to the page you want them to visit next, whether that's your blog, website or a landing page. Just like your open rate, this is something you need to test. Use solid copywriting techniques to “sell the click”. Just like you used your great subject line to get your reader to open your email, persuade them to click the link(s) inside, expecting to enjoy a very desirable result when they do. These play a vital role in the online marketing process. They are useful for both B2C E-Commerce websites and B2B sites where the conversion goal is to persuade visitors to register for and download content that will hopefully lead to a sale at some point in the future. Landing pages help you simplify the conversion process and eliminate the distractions from your site or the Internet in general. Landing pages represent a “moment of truth” in your online marketing process; they serve as a point where your website visitor must decide to open up his wallet and become your customer, in an E-Commerce environment, or become a lead (or travel further down the sales funnel if he already is a lead) by registering for your content offering, in a B2B scenario. This makes sense. The goal of a landing page is to convert. 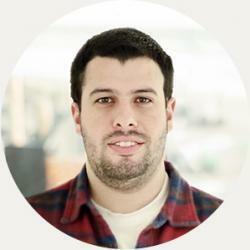 These metrics will tell you how well your landing pages are doing their job. Actions you can take to help you optimize these percentages include using compelling, persuasive reader-centered copy that features testimonials from your current happy customers. You can also include relevant photos and other graphical images that grab your reader's attention and help sell him on your offer. You measure marketing data to help you increase the effectiveness of your campaigns, to increase conversions. You measure because you want every part of your marketing to contribute to your success. 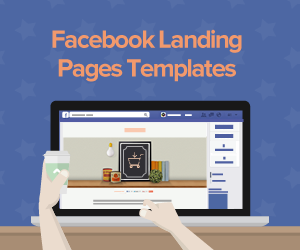 A well-designed, properly set up landing page is a valuable tool that can contribute in spectacular fashion to your online marketing success. 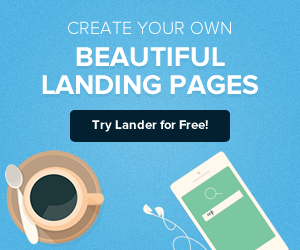 And Lander offer you a landing page platform that's in a class by itself. 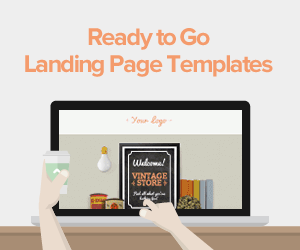 Lander landing page templates are a breeze to set up. They are engineered for increased conversion. They are loaded with valuable features like video support and Google Maps integration. Lander will also help you succeed in your efforts to measure you online marketing effectiveness. 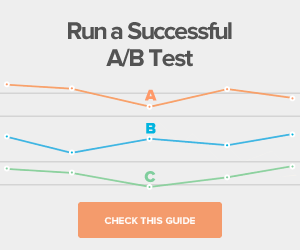 Our landing page platform features advanced A/B testing capabilities that help you refine your marketing approach so you can send your conversion rates higher and higher. And if you operate an online store, we have more exciting news: Lander now a line of E-Commerce-optimized landing page templates with PayPal integration built in, so you can offer your customers another easy way to pay you at checkout. And even more great news: You can try Lander today for free! Got any questions? Contact us today.